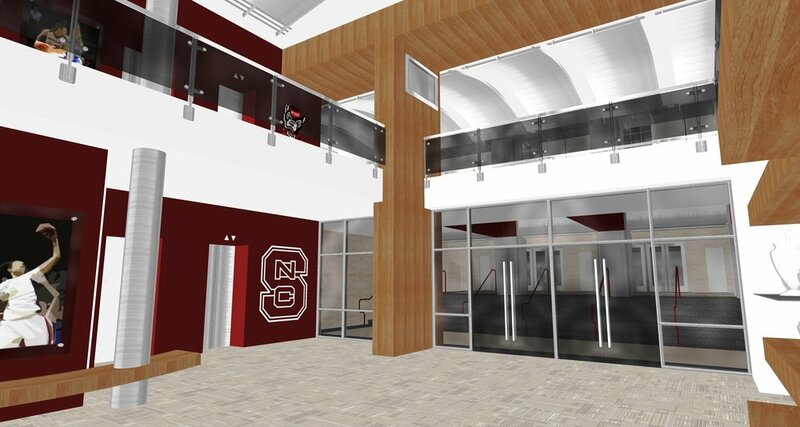 The Office of the University Architect and NCSU’s Athletics Department commissioned Davis Kane Architects to evaluate the feasibility of renovating Reynolds Coliseum to house an Athletics Walk of Fame and Athletics Administration office space. 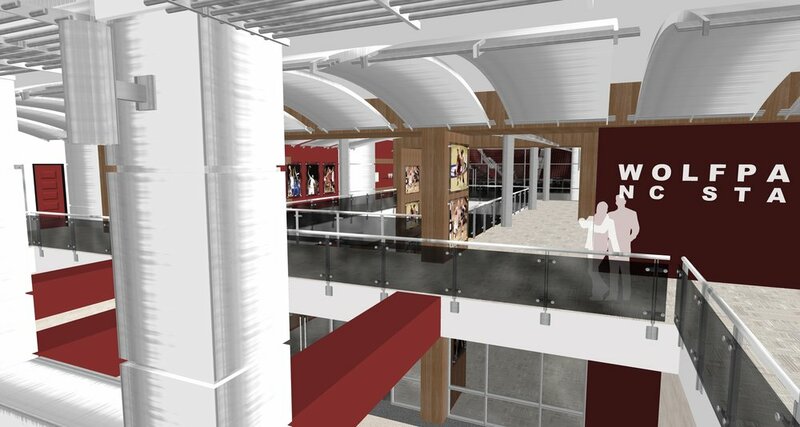 These spaces were programmed and envisioned to consist of a 4-story “building”, totaling 70,000 square feet, to be placed within the Northern third of the existing coliseum envelope. 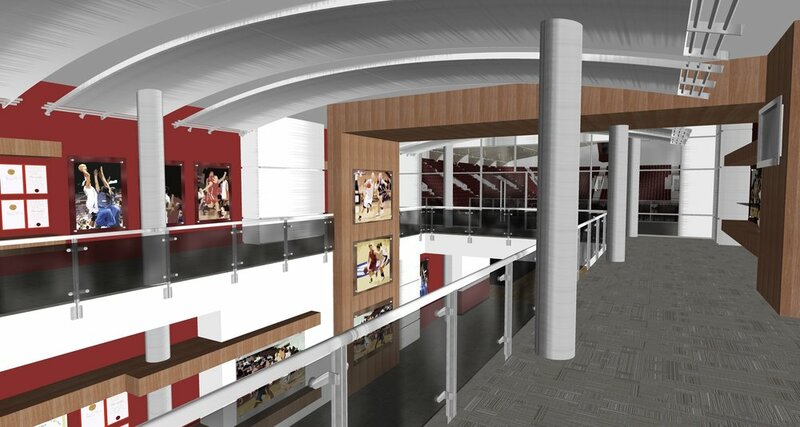 The existing arena seats over 8,500 people and is the home court for Women’s Basketball, Women’s Volleyball, Men’s Wrestling, and Women’s Gymnastics. 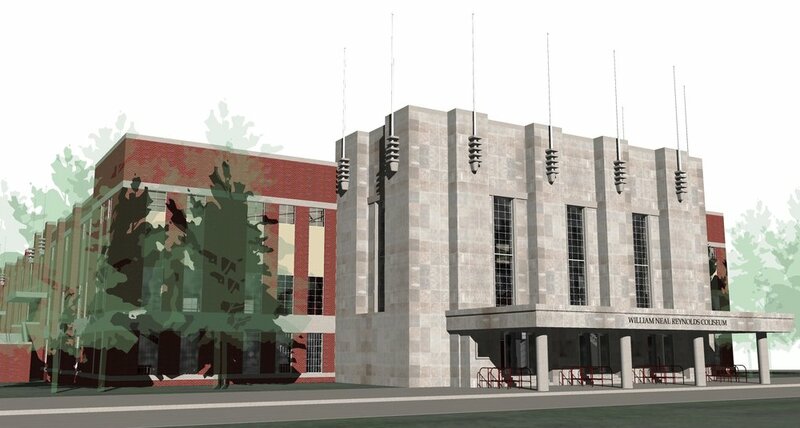 The arena also hosts events such as concerts, commencements, and presidential addresses. 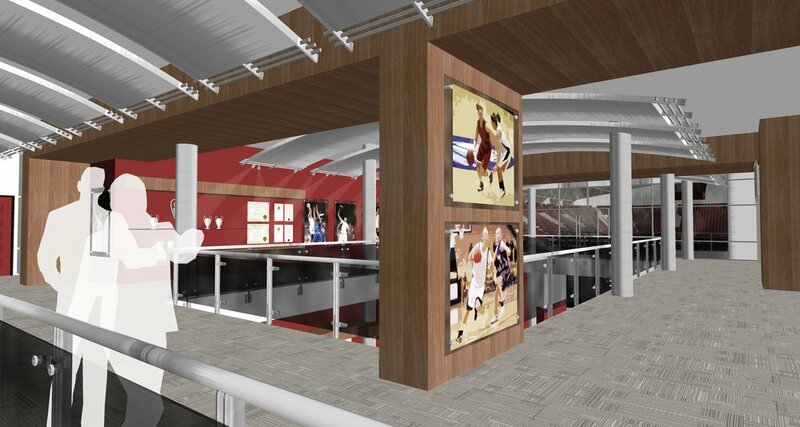 The renovation at the North end of the building would shift the court south and create a smaller, more intimate arena seating about 5,500 spectators, while also providing additional accessible seating and improved site-lines. 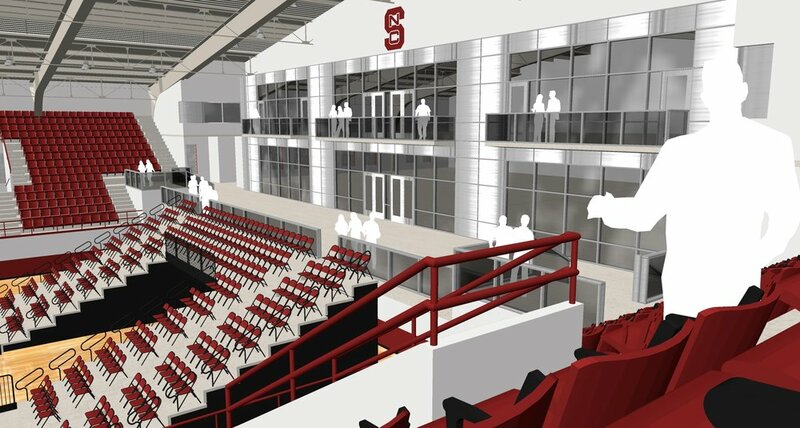 The study included a thorough building code analysis; plan options to incorporate new program; evaluation of the existing arena seating layout, systems, and structure as it related to the new program; abatement; a budget estimate; and a LEED Silver target certification.